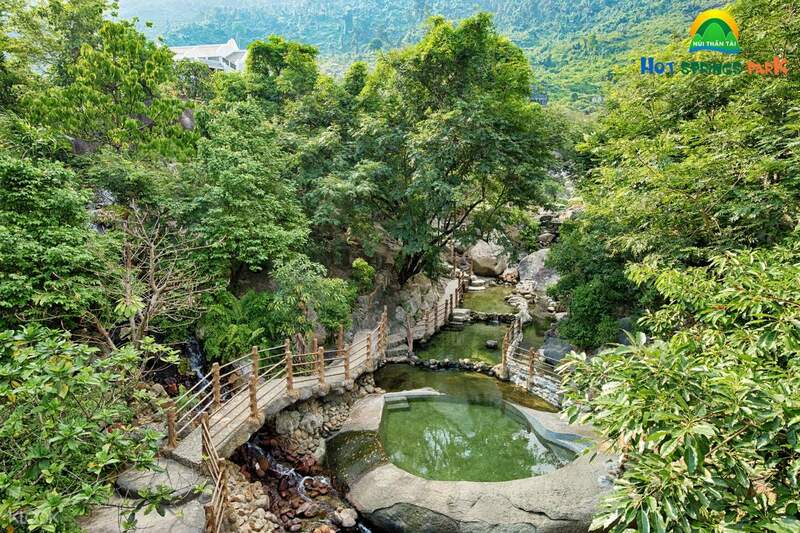 Relax physically and mentally at Nui Than Tai Hot Springs Park, a hot spring and nature lover haven in Da Nang! 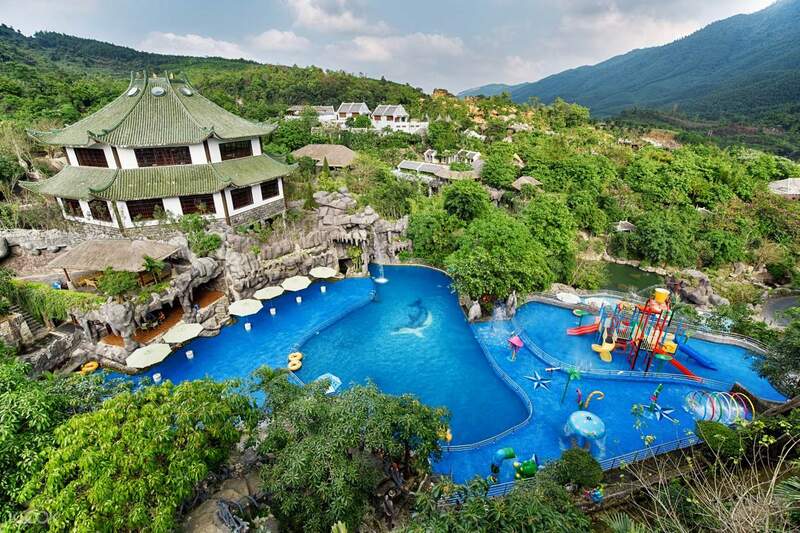 Tucked inside the Ba Na-Nui Chua Nature Reserve, Nui Than Tai Hot Springs Park is a nature and water park lover haven that provides an exciting and relaxing experience for every guest. 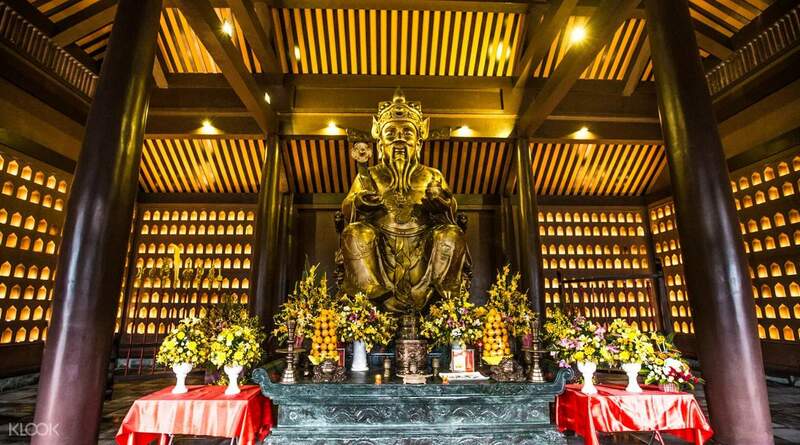 Surrounded by mountains, the park is blessed with a panoramic view of the lush green forest and various mineral-rich hot springs and streams. Heal and release the tensions in your body naturally in the mud bathing area or experience the unique traditional Japanese bath, Onsen, to discover its abundant health benefits. 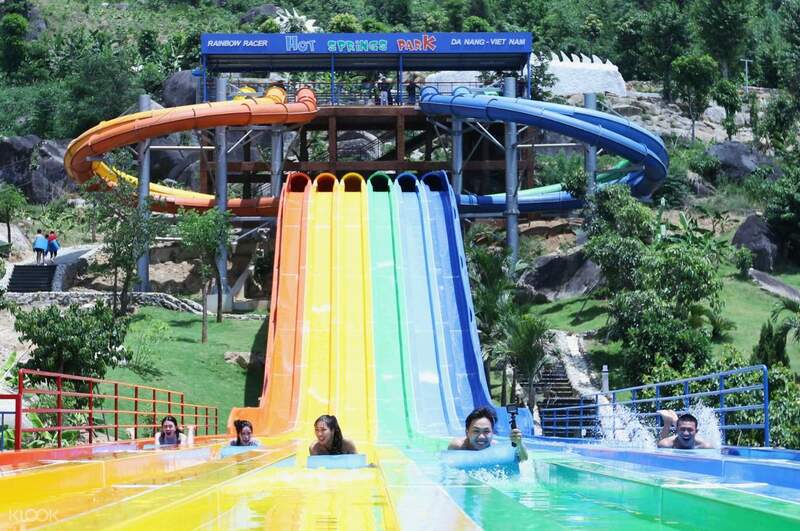 For fun and thrill seekers, the park includes many interesting attractions like mountainside wave pool, twisting swimming pool slides, and Long Tien Cave to name a few! The complimentary 9D to 12D movie experience is something you shouldn't miss while staying in the park. great getaway from the city. swimming and being able to see the mountain is amazing. place is clean too. great getaway from the city. swimming and being able to see the mountain is amazing. place is clean too. Redeem tickets at gate was easy. Wonderful fun. great place to just relax and enjoy the surrounding nature. so many different activities. Highly recommended! Redeem tickets at gate was easy. Wonderful fun. great place to just relax and enjoy the surrounding nature. so many different activities. Highly recommended! Its very clean. The natural hot spring is really good and there are much things to enjoy there. Its very clean. The natural hot spring is really good and there are much things to enjoy there. kind of failing activity and attraction, the slides in water park were not enough and closed. changing rooms were dirty. waste of time to go. kind of failing activity and attraction, the slides in water park were not enough and closed. changing rooms were dirty. waste of time to go. It was cheaper than buying it on the spot and I did not get to know the voucher right away. I took the ticket a little time and slowly changed it, but it was good. The hot spring was everything! 현장에서 구매하는것보다 가격이 저렴했고 처음에 들어가서 의사소통이 좀 안되었어요 바우처보여줘도 바로 모르더라구요. 티켓을 좀 시간걸려 천천히 바꿔주긴했지만 그래두 넘 좋았어요 놀이기구 머드. 온천까지 다 좋았어요!